Sign-ups are being handled at analytics.itunes.apple.com and can also be reached through a link on the iTunes Connect developer portal. Access is on a first-come-first-served basis. The service will let developers track how people "discover and engage" with their App Store titles, according to Apple. A number of third-party App Store analytics services exist, but may rely on indirect means of gauging performance and charge their own separate fees. Analytics can be essential for developers, giving them clues to how to adjust marketing, advertising, and app features. An analytics service was in fact offered through FlightPath prior to Burstly's acquisition by Apple. Until now, though, Burstly's resources have only been applied to public beta testing via TestFlight. 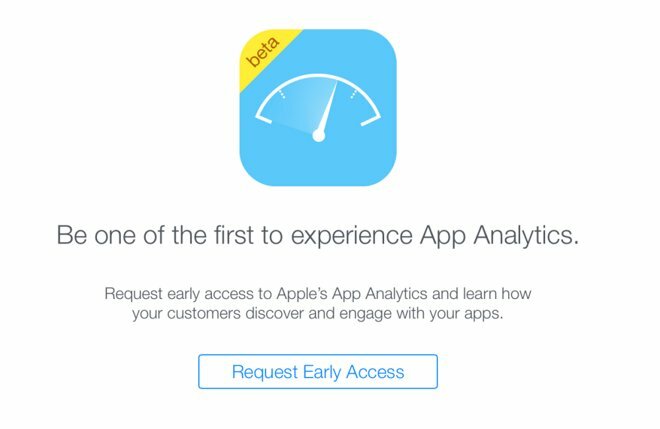 It's unclear when App Analytics might emerge from beta. More news is likely to emerge at this year's WWDC, which begins June 8.